← Atsuko Chiba (Montreal), Le Pelican Noir (Montreal) and In(Our) Finite Space (Windsor) play post/rock awesomeness at Phog tonight for FREE as part of FAM Fest! W.A.V.E.S. will eventually make the waterfront cold…so then come where it’s cool. 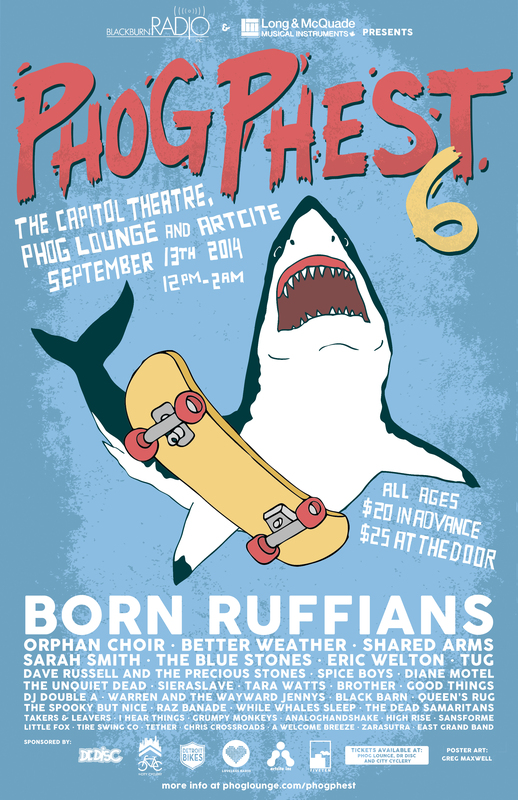 This entry was posted in Event Listings and tagged 2014, Born Ruffians, downtown, entertainment, events, listings, movies, music, phog, Phog Phest 6, rock, september, venue, windsor. Bookmark the permalink.